As part of the Halo Nation, pledge your allegiance to the United Nations Space Command Spartan II team, under the UNSC Navy. 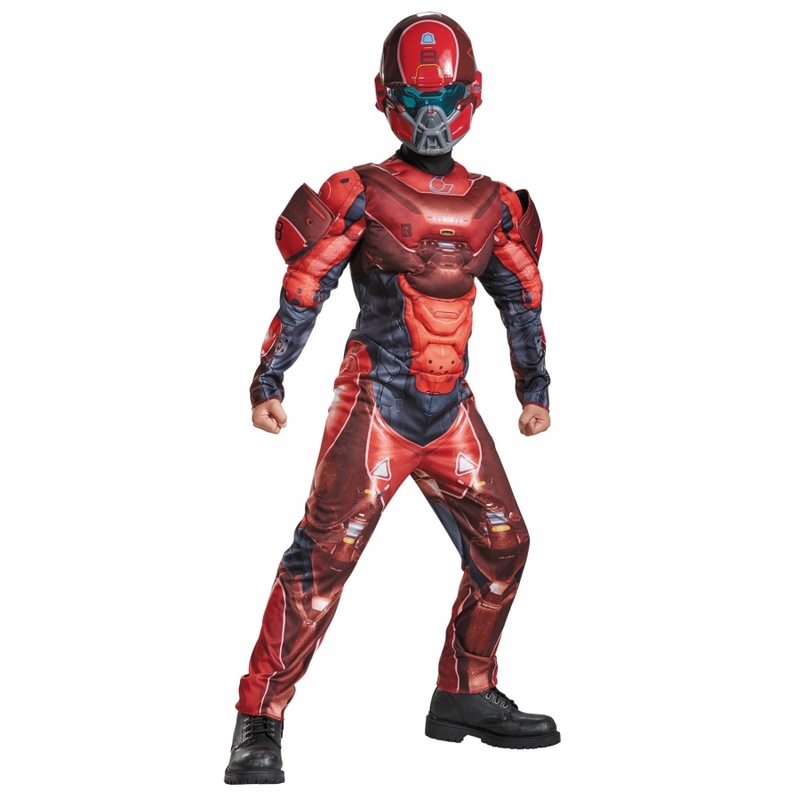 Your child can now take on the Battle of Arcadia, as a part of the Red Team, with this Red Spartan Muscle Costume! 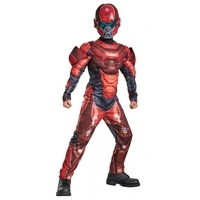 Photo realistic jumpsuit with muscle torso and arms, and corresponding vacuform character mask. Just like your favorite Red Spartan member! Fits children sizes S (4-6).